Life Is What Happens: Nature, Nurture & Nothing!! We went out yesterday to buy bulbs to nurture our garden - we probably should apply manure too; but we needed to replenish the bulbs that have disappeared over the years and buying packages of pretty pictures with the promise of Spring is so much more enjoyable than buying a bag of sheep dung. We'll fertilize in March. This is what happens when you nurture a garden too much - you get, well, lots of garden - maybe too much for an inner city lot - but then, we nurturers are a compulsive bunch. And if it isn't gardens, it's animals or children. 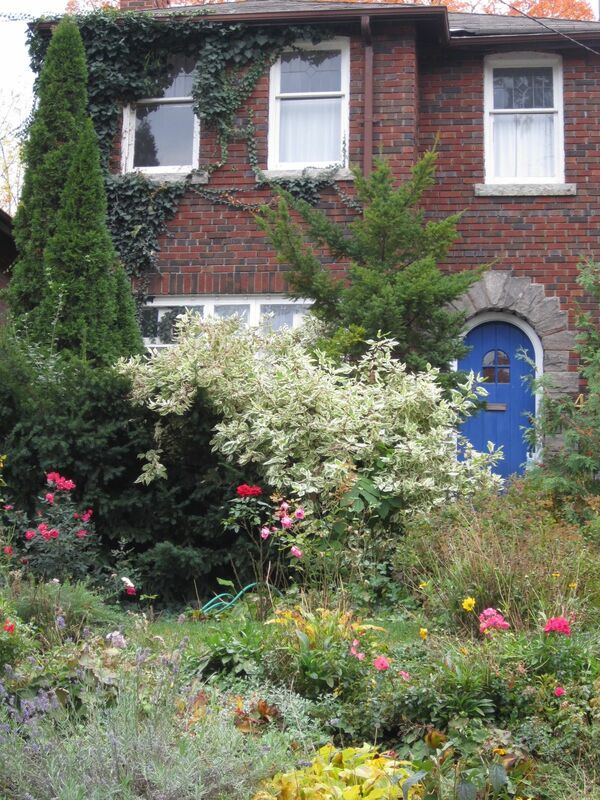 This house has both a front and back garden - just as chaotic, three cats and three children - all equally "mad." And if I had had my way I would have had more (children, animals and garden) - but fortunately, I ran out of money :) - so the nurturing excess now just goes to the garden - bulbs are cheap compared to the cost of nurturing the other two - err 6!! Now you might understand my choice of "nothing" as my third focusing word. There are times when I just have to "de-clutter." The theme in the crossword puzzle last night was a quotation by Horace. Cerebral activity can be pretty spare, if you keep it simple. So here are few a quotations from Horace. I googled them trying to find a quotation that would fit the puzzle. "Cease to inquire what the future has in store, and take as a gift whatever the day brings forth." "You may drive out nature with a pitchfork, yet she'll be constantly running back." Today is an "O" word so how about - Opportunity, Optimism and Opulence - October is also an "O" word. Your gradens must be beautiful.